Incredibly hot & humid, I’ve been craving nothing but ice cold smoothies, fruits & salads lately. With the help of my little owl friends, I’ve been blending up this delicious tropical-like smoothie combining banana + mango + coconut milk — yumm! 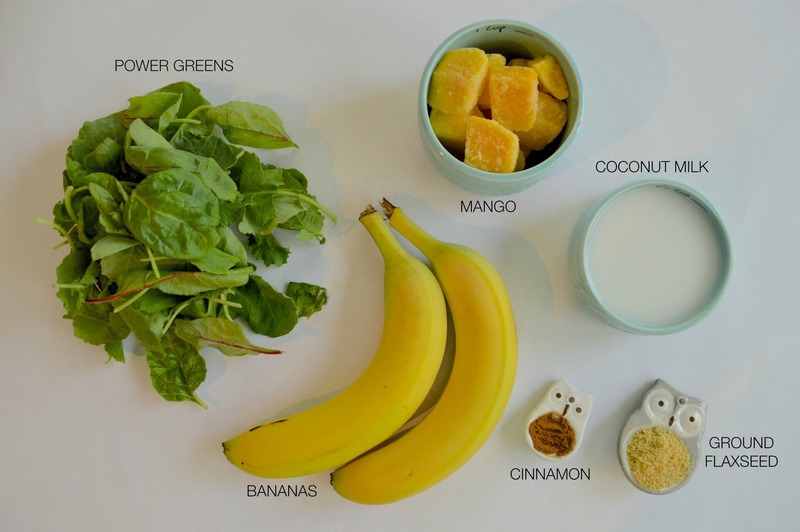 Simply toss everything into the blender, blend til smooth and enjoy! *Add more or less coconut milk for desired consistency.